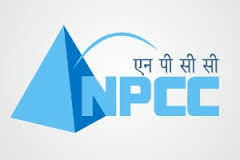 NPCC Recruitment 2018.National Projects Construction Corporation Limited, Bengaluru has released a notification for the recruitment of Site Engineers (Civil) on contract basis.Check the eligiblity and notification prior to apply for the positions. Qualification: Bachelor in Civil Engineering. Upper age: 40 years as on 31.08.2018. Date of submission of application: 21 days from the date of publication of advertisement.